Rounding Up Some Round Art For Your Collection! Equally attracting and challenging artists, the circular shape has been present in art for centuries. Tondo art, standing for circular production of art, has been drawn from the Italian word rotondo which signifies “round”. First appearing in ancient Greece, the circle remains a powerful motif in modern and contemporary art, usually seen as positive, and symbolizing unity or perfection. 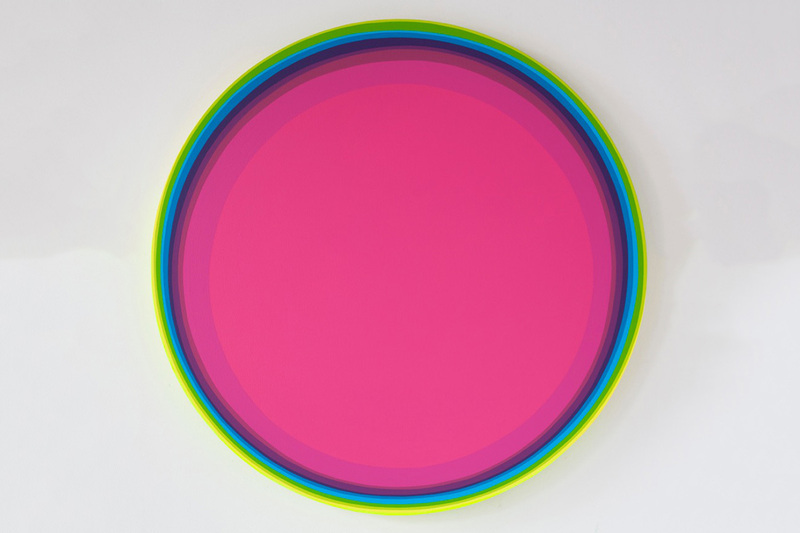 There is a range of artists who continue to employ the format in both figurative and abstract pieces, proving that the circle shape will never lose its appeal. We have compiled a selection of contemporary pieces created in the circular shape. If you are interested in some round art for your collection, be sure to check them out! Featured image: Tanc – Sans titre (detail). All images courtesy of their respective galleries.